The Yavapai Humane Society (YHS) is celebrating its 42nd anniversary, and we hope to further expand our “no-kill” ethic in 2014. Many still ask what no-kill means, while others ask if it is even possible. 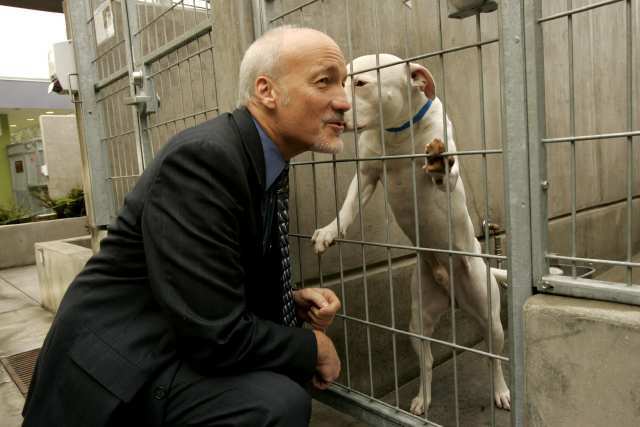 I define “no-kill” as applying the same criteria to deciding a shelter animal’s fate that a devoted pet owner or conscientious veterinarian would apply to a beloved pet. That is, healthy and treatable animals are not killed simply because we lack the resources to care for them. YHS is not a no-kill shelter; however, since the YHS Board of Directors and management team embraced the “no-kill ethic” in July 2010, we achieved a 93 percent decrease in shelter killing. If no-kill were an Olympic event we would no doubt rejoice in our success. However, while achieving no-kill is similar to an Olympic moment, sustaining no-kill is a marathon – and each day presents many life-and-death challenges to continue to hold the line. YHS is the largest animal rescue organization in northern Arizona. We are increasingly known for our many life-saving programs, which are responsible for making central and western Yavapai County the safest region for pets in the United States. So effective are our life-saving programs that often the only animals most at risk of euthanasia or delayed care are those with medical issues we are challenged to diagnose because we lack the necessary blood analysis equipment. Consequently, YHS must rely on local labs to provide these services at considerable cost. Often YHS just can’t afford these lifesaving services, and when we can it requires YHS staff or volunteers to spend precious time transporting samples to the lab and awaiting results. Many times an animal doesn’t have the time it takes to get those results. Historically, YHS euthanized suffering animals when we were unable to determine the full extent of an illness. If YHS had a blood analysis machine the likelihood of a rescued sick pet’s survival would increase exponentially. To ensure every ill animal that YHS rescues has a fighting chance at quality life requires this equipment on-site. This vital equipment will allow YHS to treat these critical needs animals efficiently and humanely – and it will save more lives. In just the first quarter of 2014, YHS submitted 55 samples to local labs for analysis at an average cost of about $65. The cost for this equipment is about $20,000. If YHS had this equipment on site it would pay for itself 18 months. This is YHS’s 42nd Anniversary. If 42 individuals could find it in their heart to give $475, YHS could secure this equipment this year. What a 42 Anniversary present for our community’s neediest animals! If you are able to help in this life-saving effort, please mail your donation to the Yavapai Humane Society’s STAR (Special Treatment And Recovery) Program. If you can’t afford $475, any gift towards this essential need will be greatly appreciated. Any monies above the $20,000 will go to the STAR program which provides critical medical care to sick and injured homeless animals.